At Wireless Nation, we value community. Recognising the isolation of many rural towns throughout New Zealand, we created an internet company that was different from the rest. Why? We sought to grow and strengthen communities through internet connectivity. Since then, we have tried our best to go the extra mile, providing additional support for Kiwis when and where we can. We have taken part in a number of charitable organisations and events over the years. Our intentions have always been simple; provide internet connectivity to Kiwis, and aid the safety and well-being of our community. In March 2018 & 2019, we involved ourselves in the Oxfam Trailwalker event; 100km in 36 hours. Why? 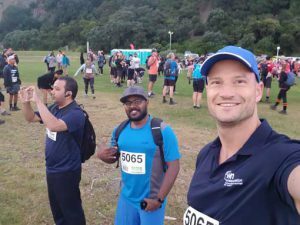 Oxfam Trailwalker is an event that raises almost $1 million each year, in the aim to minimise poverty throughout the Pacific and the wider world. So we were more than happy to help the cause! As our specialty is reaching the “hard-to-reach” locations, we assisted the event by providing rural internet wireless access points along the trail at the start and finish lines, as well as the checkpoints in between. Also, because we care about the safety of Kiwis, we made sure the walkers and event managers stayed connected, with the use of our special gadget the ‘Fox Tracker’. Our ‘Fox Tracker’ gadget tracked certain teams and individual walkers. We were very proud to offer this safety procedure, as it enabled the team at Oxfam to have knowledge of walkers whereabouts, in the case that emergency assistance may be needed. Another community partnership we are very proud to be a part of is our rural internet efforts with the Youth Search and Rescue (YSAR) team. Since 2018, we have lent a helping hand to the YSAR; a group we are very inspired by, as they train to put their own lives at risk every day to help others. Because the YSAR requires strong communication and navigation connections – to enable them to ‘search and rescue’ – we helped them by providing strong internet connectivity. 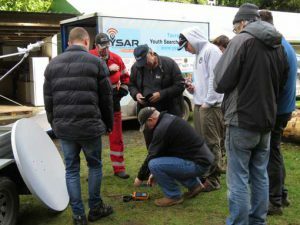 We lent a helping hand by providing the team at YSAR with high-quality satellite internet for communications, data sharing and navigation across New Zealand. We helped them, help others. In keeping with our dedication to the rural community, in 2015, we formed a partnership with Rural Health Alliance Aotearoa New Zealand (RHAANZ). RHAANZ is a New Zealand initiative that promotes the importance of well-being for rural Kiwi’s and farmers; providing support tools and solutions for rural communities. At Wireless Nation, mental health and well-being is important to us, and we understand that many Kiwis face this struggle every day. We also recognise that for the rural community in particular, feelings of isolation can be an added weight on their shoulders. Particularly for those who have family and friends spread across the country. So, by working in sponsorship of RHAANZ, we have put our best efforts into providing high-speed rural internet connectivity to every corner of the country. Our membership with RHAANZ is particularly important to us as we want our rural communities to have the same internet connectivity opportunities as the rest of the country. All in all, we are proud that our rural internet enables isolated Kiwis to connect with distant friends and family, as well as have access to online support. At Wireless Nation, we are all about connectivity. Connectivity with the internet, and connectivity with people. Feeling disconnected? Contact Wireless Nation and we’ll fit you with an internet plan to keep you connected.